Some old favourites in there, but they seem to be going out of style in favor of the new ones. Consolas is one of the new fonts that ships with Windows Vista (or was it Office 2007? 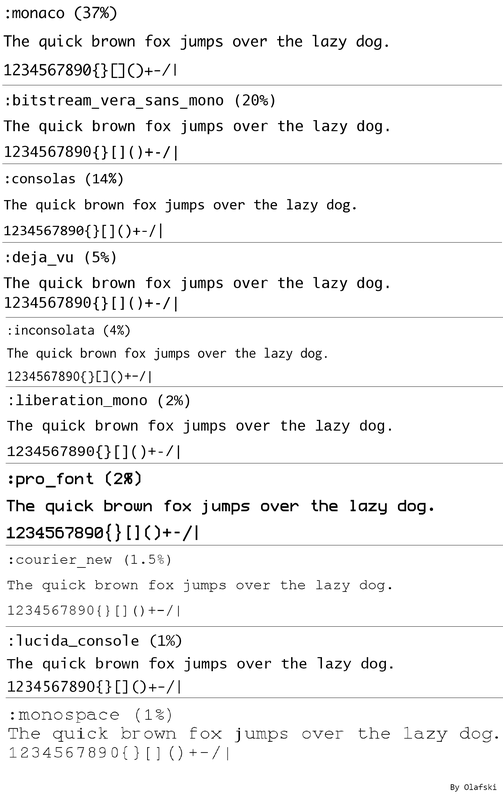 ), Bitstream Vera Sans Mono is the font Ryan Bates at Railscasts uses and (I think) Monaco is the default font in Textmate. Update: I’ve heard that some users can’t view all the fonts in the PDF, so here’s a PNG of all the pages put together.